You can’t help but smile when you see this arrangement! Its sweet tones remind us of the happiness spread daily on the popular street of Ventura Blvd in which our first location was born. 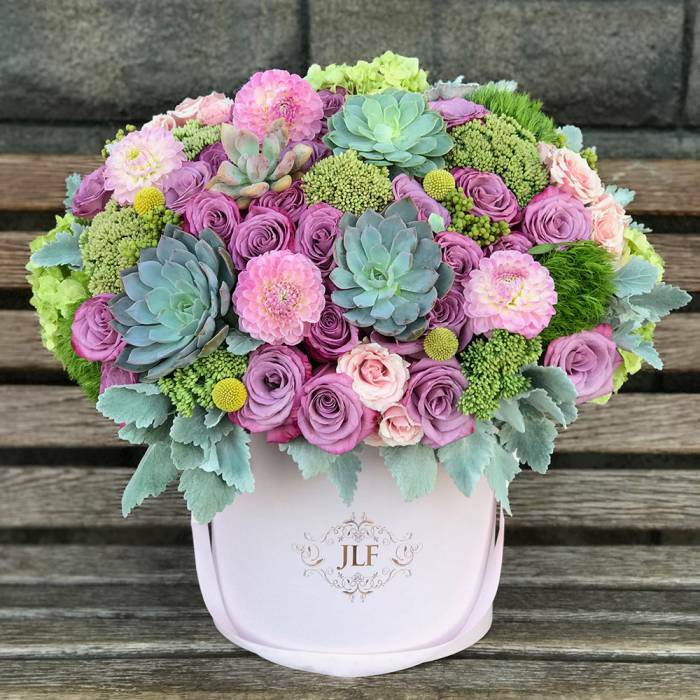 Deep lavender roses are surrounded by the beauty of succulents, dianthus pom poms, dahlias, hydrangeas, dusty miller leaves and craspedia billy balls. The arrangement in the photo is in our Medium size box.